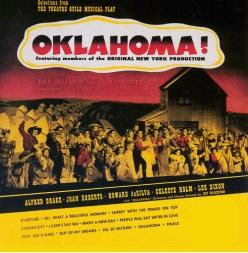 Rogers and Hammerstein's beloved musical Oklahoma! has charmed audiences around the world for almost seventy years. The tale of handsome farmhand Curly MacLain and his courtship of innocent farm girl Laurey Williams, has garnered critical praise, numerous awards, broken records on Broadway, and grossed millions at the box-office. The show is so frequently performed, in professional, community, and high school productions, that there is an average of one performance every day somewhere in the world. While Curly and Laurey wait until after they've tied the knot to consummate their love, things could have turned out differently for them if they'd ended up getting it on before their wedding night. And if they were living in Oklahoma today and had to deal with an unplanned pregnancy, things could be pretty bad. On Feb 19 a hearing will begin in Oklahoma State Court regarding a controversial new abortion law passed last fall but put on hold by a judge until this week. Known as the Statistical Reporting of Abortions Act, the law requires all women who have abortions to complete a form with more than 30 questions including their age, race, level of education, and marital status, as well as detailed questions on their reasons for choosing to terminate the pregnancy. The information is then posted on a website. Women who refuse to complete the form cannot be provided with abortion services and doctors who try to side-step the process would face criminal sanctions and lose their license.